Facing the ever increasing cost and risk associated with litigation, our clients may agree to seek resolution of disputes through alternative dispute resolution. Generally, this means resolving claims by way of arbitration or mediation. Our lawyers have significant experience on all sides of alternative dispute resolution. We have represented clients in arbitration and mediation of complex cases including commercial, employment and insurance disputes. Our lawyers have acted as individual arbitrators or members of arbitration panels and have decided contested cases. 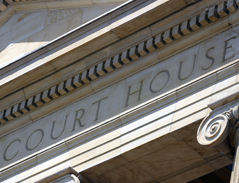 One of our lawyers also serves as a parajudicial officer in the federal courts, conducting settlement conferences. We believe that this experience provides clients with a unique and valuable insight into the alternative dispute resolution process.